Shangri-La Hotel Wuhan (武漢香格里拉大酒店) is a luxury hotel located in the Hankou district of Wuhan City, the capital of China's Hubei province. 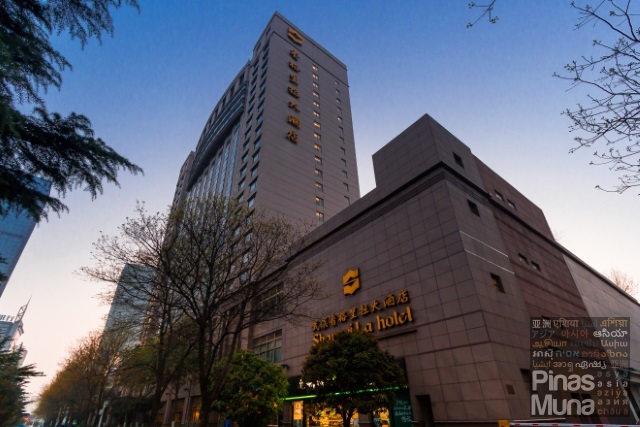 The hotel is surrounded by the headquarters of some of the biggest state and multinational companies as well as government and civil offices, making Shangri-La Hotel Wuhan an ideal accommodation for business travelers in the central business district of Wuhan. Wuhan is one of the biggest cities in China and is considered as the commercial and transport hub of Central China. This puts Wuhan as a strategic center for trade and commerce, making it one of the top destinations in China for business travelers. 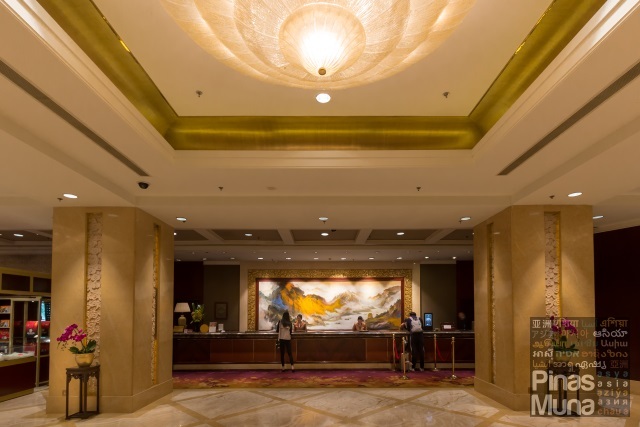 Being located in the central business district of the city, Shangri-La Hotel Wuhan primarily caters to business travelers coming from major cities around China, as well as from other Asian countries such as Japan and Korea. 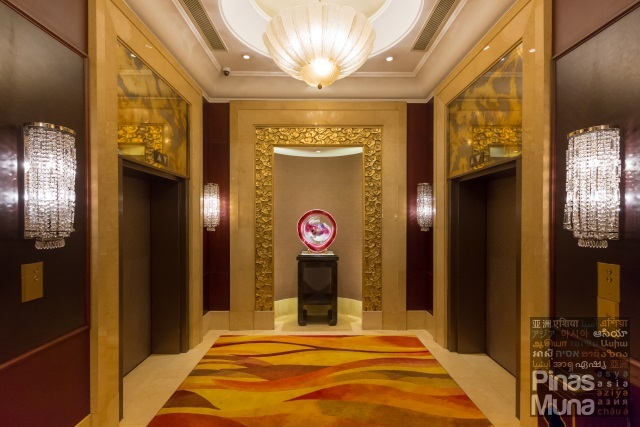 Shangri-La Hotel Wuhan has the signature Shangri-La elegance design characterized by the generous use of marbles and hardwood in its interiors, coupled by motifs of gold and dark red with touches of oriental elements of design. Entering the hotel lobby, guests will be welcomed by the familiar Essence of Shangri-la fragrance. 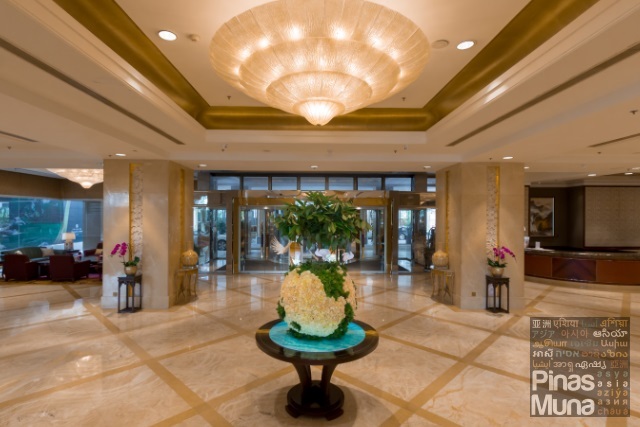 Guests coming from South East Asia will easily identify the close similarity of the lobby of Shangri-La Hotel Wuhan with the lobby of Shangri-La Hotel Jakarta, Edsa Shangri-La Manila, Shangri-La Hotel Bangkok. 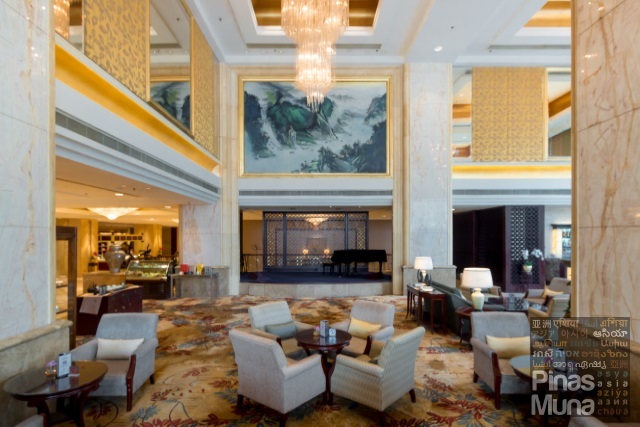 Shangri-La Hotel Wuhan has a total of 442 guestrooms and suites, as well as 45 fully serviced apartments for longer staying guests. All rooms have been recently refurbished with interiors designed with modern elegant Chinese motif. All guests are guaranteed with panoramic view of the city at the comfort of their rooms. 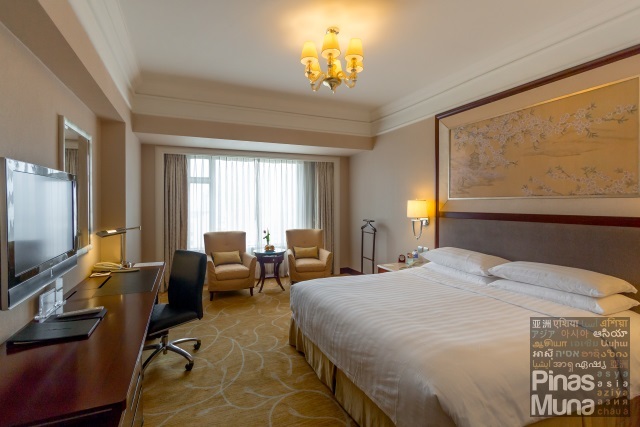 The Deluxe Room measures 36 square meters and is the only guestroom category of Shangri-a Hotel Wuhan. The room is designed with the signature Shangri-La elegance characterized by wall-to-wall carpet, dark wood furnishings, a chandelier, and accent pieces that reflect the local culture. Wuhan is also called the city of breakfast because of the wide variety of breakfast dishes available in the city. 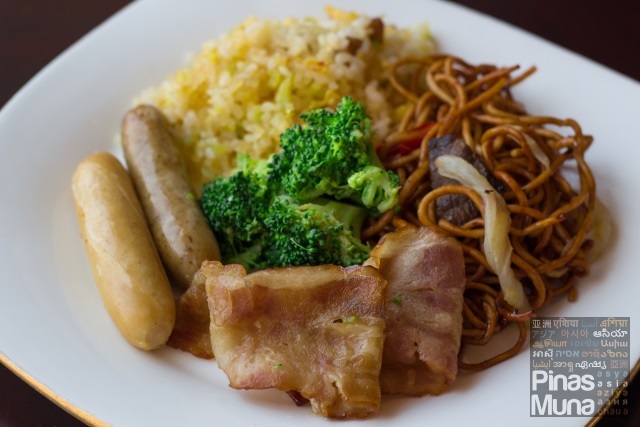 The most iconic of all and perhaps the single breakfast dish that best represents Wuhan is the reganmian (热干面). 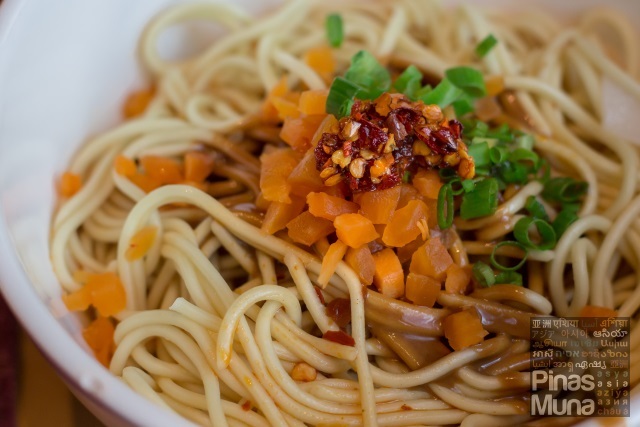 Its English name, hot-dry-noodles, does not however give justice to this dish as reganmien is more than just being hot or dry. It has an interesting mixture of flavor coming from the sesame paste and the various sauces and pickled vegetables added in the dish. 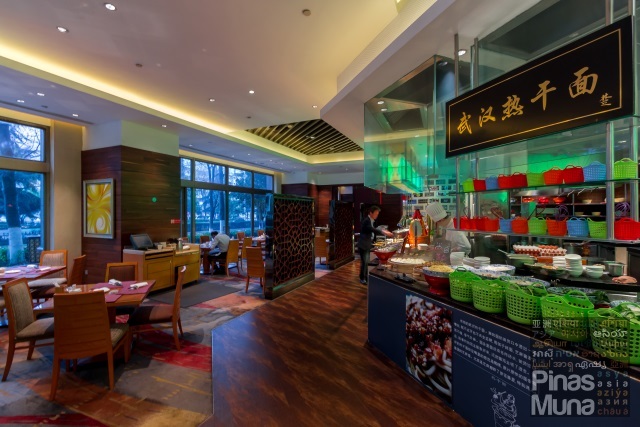 Here at Shangri-La Hotel Wuhan, guests can begin their day by sampling the best local breakfast dishes of the city, right at the comfort of the hotel's breakfast venues. 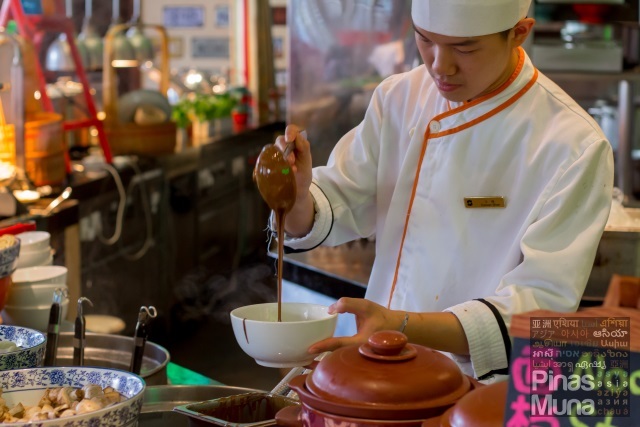 A live-cooking station at Cafe Wu is dedicated entirely for the reganmian. Just approach the station and ask the chef to prepare one for you. Guests dining at the Horizon Club Lounge can also enjoy unlimited servings of reganmien. Just call one of the lounge associates and they will have a bowl of freshly made reganmian prepared for you. 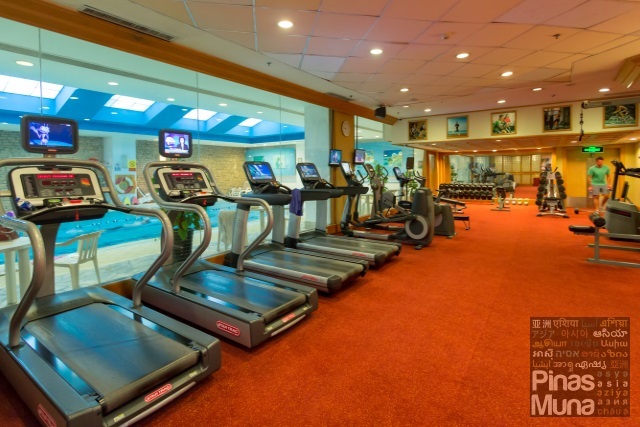 Keeping physically fit while traveling is made easy here at Shangri-La Hotel Wuhan. Checked-in guests enjoy complimentary access to the 24 hours Health Club. So whether you are just starting your day or trying to fix a jetlag, you can access the gym any time of the day or night. There is also an indoor swimming pool, wet and dry steam room, and a jacuzzi. 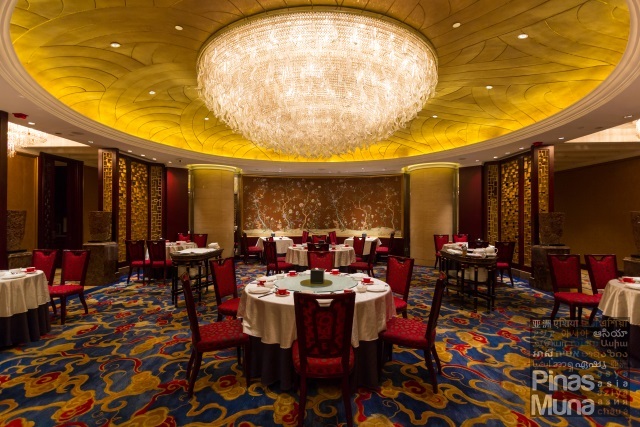 Shangri-La Hotel Wuhan prides in itself for having the largest Grand Ballroom in the city of Wuhan. 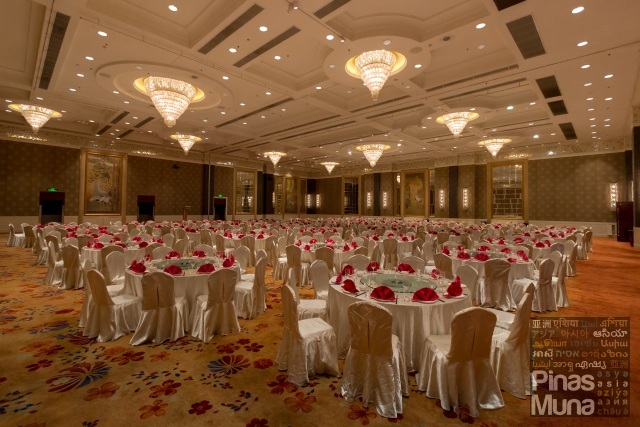 Measuring 1,600 sqm with a ceiling height of 7 meters, the Grand Ballroom can accommodate up to 1,800 persons. 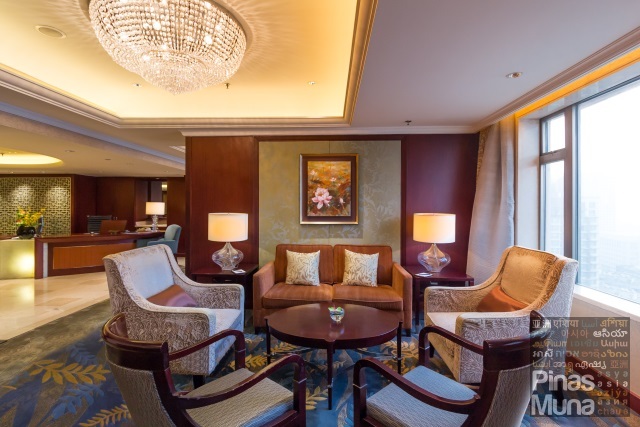 In addition, Shangri-La Hotel Wuhan also has 14 function rooms, each equipped with state of the art audio-visual technology that contributes to the overall success of the meetings. Shangri-La Hotel Wuhan stands along the Jianshe Avenue (建设大道) the main thoroughfare of the central business district of Wuhan. 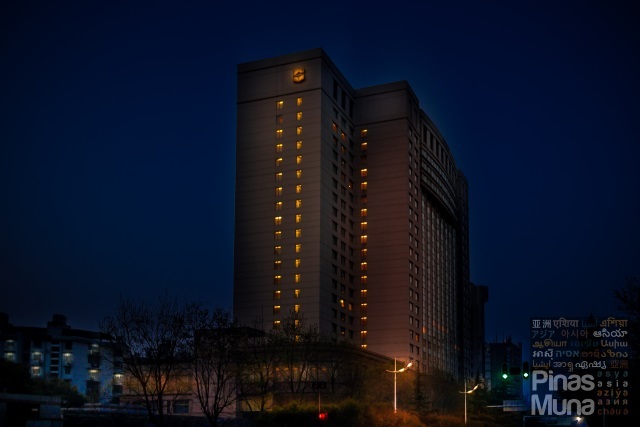 The hotel is located 25km from Wuhan Tianhe International Airport (武汉天河国际机场); 22.5km from Wuhan Railway Station (武汉站); and 4km from Hankou Railway Station (汉口站). Ctrip.com - when booking your CRH tickets, I highly recommend that you use Ctrip.com or the Ctrip mobile application. Credit cards and debit cards issued outside of China are accepted by Ctrip. Take note of your reference number and proceed to the Ticket Office of your train station to claim your ticket. Your passport is required when claiming your ticket. 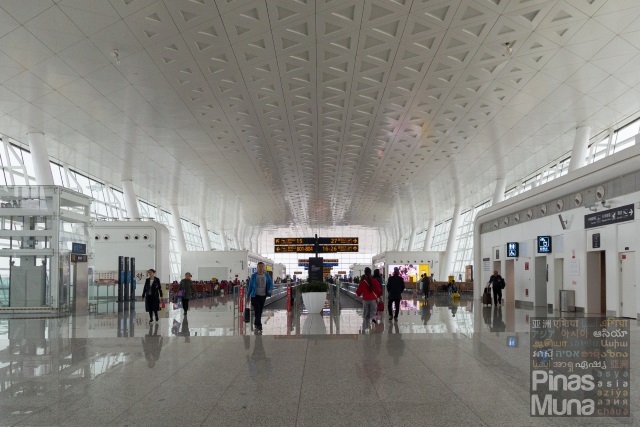 Airport Transfer - guests arriving at the Wuhan Tianhe International Airport have the option to arrange a hotel limousine pick-up (starting from CNY 495.50) or take the Wuhan Metro - Line 2 from the Tianhe International Airport Station (天河机场), transfer to Line 6 at Changqing Huayuan Station (常青花园), and alight at Xianggang Road Station (香港路). The hotel is just a few walks away from Exit A. 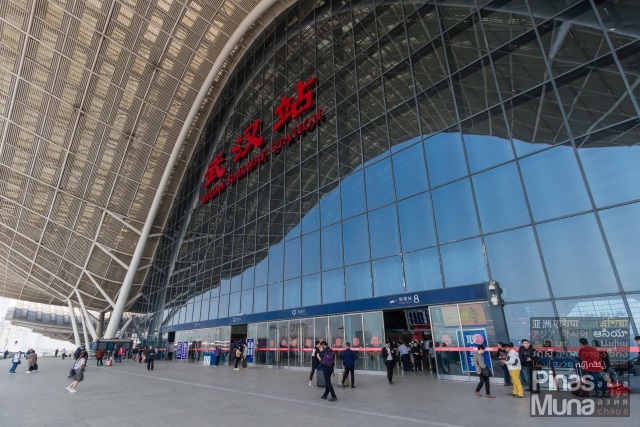 Train Station Transfer - guests arriving by high-speed train at the Wuhan Railway Station have the option to take a taxi (~CNY50.00) or take the Wuhan Metro - Line 4 from the Wuhan Railway Station, transfer to Line 8 at Yuejiazui Station (岳家嘴), transfer to Line 3 at Zhaojiatiao Station (赵家条), and finally alight at Xianggang Road Station (香港路) and take Exit A. 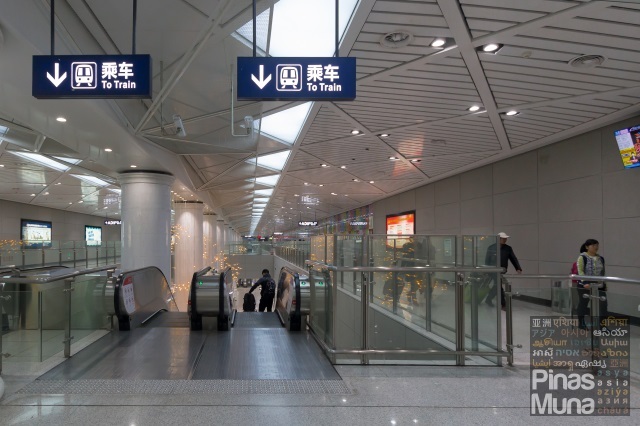 For guests arriving at Hankou Railway Station, the most convenient way to get to the hotel is by taxi (~CNY25.00). Getting Around - the fastest and most convenient way to get around Wuhan is by taxi. From the hotel, just approach concierge and tell them where you wish to go. Also, don't forget to ask for a copy of the complimentary tourist map. The concierge can help get a taxi for you and they will make sure that the driver understood where to drop you off. Taxi rides can range from CNY 20.00 to 40.00 for short distance trips within the downtown area. 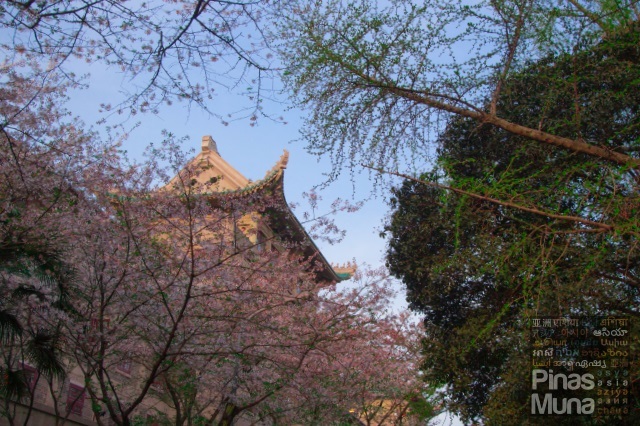 Considered as one of the Cherry Blossom Capitals of the World, Wuhan has thousands of cherry blossom trees planted in various public parks, making it a popular travel destination during Spring when the trees go into full bloom. One of the favorite places to enjoy the cherry blossoms is the Wuhan University (武汉大学). The university itself is rich in history and architectural wonders. The university grounds are open to the public starting from 5:00pm every day. Another famous landmark in Wuhan is the Yellow Crane Tower (黃鶴樓). 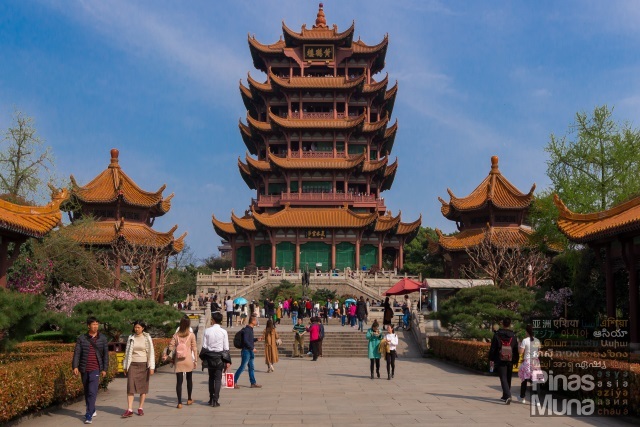 It is the most recognizable symbol of Wuhan known around the country as one of the four great towers of China due to its historical and literary significance. The tower is located within the Yellow Crane Tower Park. Entrance to the park is CNY80.00 per person. An elevator brings visitors from the base to the various levels of the tower. From the topmost level of the tower, visitors can enjoy a panoramic view of the city and of Yangtze River. Shangri-La Hotel Wuhan is a Collection A property where Golden Circle (GC) members can instantly redeem a free overnight stay in a Deluxe Room for only 1,000 GC Award Points. 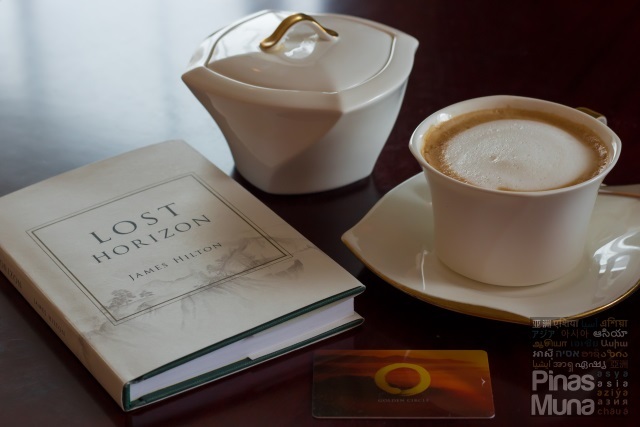 Redemption can be made online via www.shangri-la.com or via the Shangri-La Mobile App.